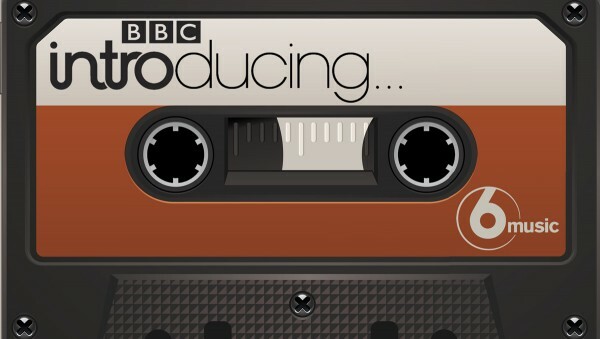 The BBC Introducing Mixtape is a 60 minute radio show and podcast which I compile for BBC Radio 6 Music. It’s broadcast every Sunday night (technically Monday morning) at 2am and at the end of the show the whole thing can be downloaded as a podcast. The download remains available for the next 28 days. To send me a tune for my BBC Introducing Mixtape, submit a Soundcloud track to us any Monday to Thursday afternoon. You don’t need a plugger, a promo CD or any of the other old music biz malarky – this is the 100% guaranteed way of getting your music heard by me. It will also get considered by the rest of Team Freshnet for our Listening Post. The Mixtape also includes music recommended by BBC colleagues from around the country, again sourced from the BBC Introducing Uploader. TIP: don’t be in a hurry. There’s no point sending anything less than your very strongest work. We get 100-200 tunes every week, and there are only 15-16 slots on each Mixtape. If you have much better material on the way, then wait a while and send us that: read more here. Unfortunately it isn’t possible to give feedback on individual tracks but I will listen to your tune – and if I love it, I’ll play it. It doesn’t help when no-one from BBC Introducing listens to your track though does it? I’ve been played on BBC Manchester twice (Oct 2011 and April 2012), but didn’t receive an email to tell me that it would be on the show. The web-site hasn’t even been updated to show the last broadcast. The BBC Manc Introducing Twitter account is closing soon too. I get the feeling that the whole BBC Introducing thing is slowly being closed down (due to cut-backs?). It’s a crying same as Un-signed artists don’t have huge corporate PR machines to fall back on. Hello Jason – just out of interest – had you already shared this excellent track with us via our Listening Post on this blog at some point and been ignored? Anyway as you’re clearly aware, BBC Introducing is just part of the long hard strenuous process involved in getting one’s music heard and the vital Step 1 is regularly uploading your new tunes to us every couple of months. Most people imagine that’s enough, and bypass Step 2 – getting the undivided attention of someone who works at the Beeb in the area of new music. But you’ve managed to get mine right here. Step 3 is that I can now go straight to your BBC Introducing Uploader page and download your latest tune. 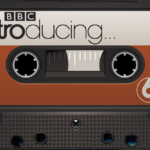 I’ve put it forward (producer permitting) for our Introducing Mixtape on 6 Music next week. As it says above – if I like it, I play it – it’s as simple as that. Wow thanks Tom – Sorry I didn’t comer back sooner (hence the delay in my reply). To answer your question, this was the first time I’ve shared anything through the listening post – I had just put my faith in the BBC Intro. Uploader. I uploaded tracks like 10 months ago and none have been listened to ??? what should i do ?? 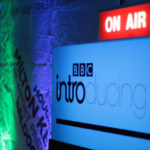 Hello Digital Soldier – BBC Introducing is just part of the process of getting your music heard and uploading your very latest and very best new song to us is an important first step. But thousands of tracks get sent in every month and BBC Introducing has limited staff and resources. So the important second step is getting the attention of someone who works at the Beeb in the area of new music and letting them know it’s there. Since you live in Edinburgh that means finding out who presents and produces BBC Introducing shows in Scotland and getting their undivided attention and asking them to listen to a specific song that you have sent to the BBC Introducing Uploader. You can be sure that if any BBC Introducing show listens to a track and likes what they hear, they’ll definitely play it on the radio. But don’t leave it to chance. Find the right person, make personal contact and ask them to check out your latest and very best song. For myself the best thing is to send one that latest and very best song to our dropbox on this blog any Monday to Thursday at http://freshonthenet.co.uk/submit and all of us on Team Freshnet will take a listen. If any of us really like the track we’ll publish it over the weekend on our listening post. If the public really like it we’ll post it permanently on the blog in our Fresh Faves. And if I personally love any of the tracks that come in – and can find them on the BBC Introducing Uploader – I always put them foward to my producer to be considered for 6 Music’s Introducing Mixtape. I was listed in the Freshnet list yesterday, and was very close to being voted in the top 5 tracks. Does this mean I will get a play on BBC 6Music? I’m also being played on BBC Introducing Lincolnshire if that helps the cause haha. But one play on the radio isn’t much help on its own if you don’t put in a bit of work on your side so that you get the full benefit. If people like what they hear on the mixtape, what will they do next? How will they find you, follow you and support you in future – how will they get to hear more of your music or come to your gigs ? You do have two versions of the song on a Soundcloud page but no photo or info about you – and no link to your Facebook. Your Twitter started out great while you were in The Grips but now you hardly ever use it – and it only has two words of information about you: “Musician, UK”. And no links to your music. Supposing Huw Stephens reads your latest tweet – he’ll have no idea what song you’re talking about, who you are, where you’re from or what you sound like. And you haven’t given him a link to click on and find out. Even if Huw does hear You Are The Sun and love it and play it on Radio One, what will happen then? 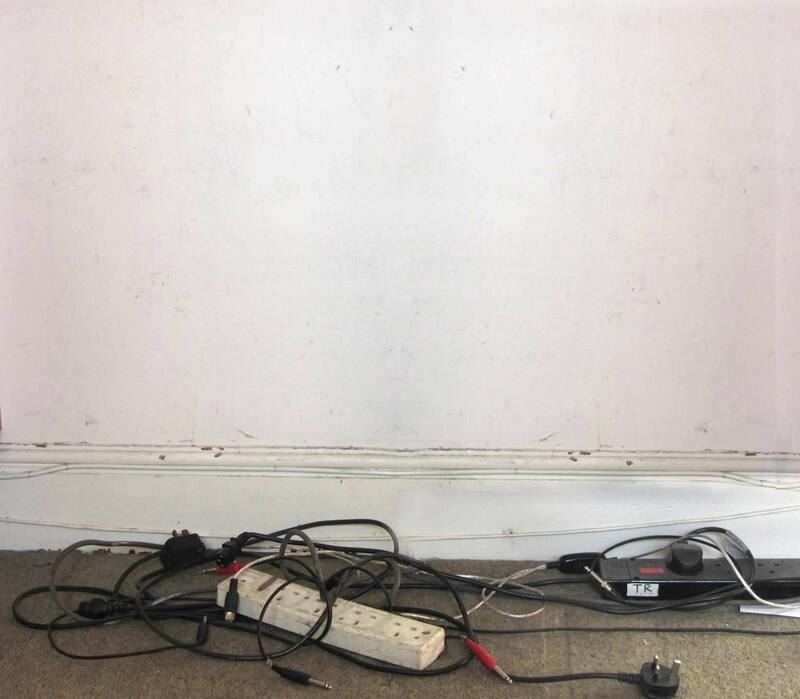 Many professional pluggers would sell their grandmothers for a single play on Radio One, but they know that unless the artist is already generating some buzz and activity and excitement under their own steam with an interesting joined-up web presence, a video and a few gigs lined up, national radio play is a pretty much wasted opportunity. Thanks Alastair – this is an important question, so by way of reply I’ve written a full blog post here. Hi Tom, thanks for your lengthy response to my comment. I decided to answer here, rather than on the full blog post, because I think your words of reply stand well enough on their own and should be left as such. I agree with everything you say; no one owes us struggling musicians an audience, BBC Introducing included! And yes, BBC Introducing is a wonderful under-funded institution that deserves (and gets) my wholehearted support. Just for the record, no, it wasn’t the Manchester Introducing team I was referring to! This is a difficult area and I would agree that it is almost impossible to put safeguards in place that would satisfy everyone. But, when I witness an Introducing show which is playing the SAME bands each week, sometimes the same SONGS, and all bands on the show are basically the same genre, I am suspicious that the music-listening public in general are not really being considered in this ‘choice’. You at FOTN seem to have a better ethos because at least there are several of you involved in the choice and presumably there is some variation in your preferences. That makes the playing field flatter for all the musicians trying to get themselves heard. But I’m not convinced the field is as equally horizontal for some (may be not all) Introducing shows! But, as you say, personal preference has always dictated who hears what in the music industry, so perhaps we just have to learn to live with it. Or, we could always move to another part of the country! Thanks for your time in answering this concern of mine. Cheers Alastair – that certainly doesn’t sound right. In your place I would make my complaint public, naming the show and giving specific examples and dates. The show is not playing you anyway – and not likely to, from what you say. What do you have to lose – and how many other artists in your area will be helped ? If there are legitimate grounds for complaint, they need to be heard and responded to. While you’re always welcome to comment here on the Team Freshnet blog, why not post directly on the BBC Introducing Blog where your points will be noted by people with the power to act on them. For instance there’s a recent and related post (clarifying the selection process for BBC Introducing Festival stages) by Claire Thomas who is the Executive Producer for BBC Introducing. Post a straightforward, factual and specific comment there and Claire is certain to read it. Thanks for posting here. Actually it’s not true that nobody has listened to any of the tracks you’ve uploaded to BBC Introducing: Paul Sheehan – producer of Steve Lamacq’s Radio 2 and 6 Music shows – listened to (and shortlisted) your song Heart In Your Pocket last August. So it was certainly heard by Lammo last year even if he didn’t consider it suitable for airplay on his shows. And Richard Pitt from BBC Introducing in Bristol downloaded and played it in May this year as you well know. Out of interest I’ve just listened to all four of your tracks myself. So if any talented SW musicians are destined to remain unheard, you’re certainly not one of them. But you’re right that the broken link to Radio Stoke’s “In Praise of God” clearly needs fixing, and absolutely right the lack of a local Introducing show is a shortcoming in the service provided by BBC Devon. My suggestion would be that you contact the station directly about this, and persuade other likeminded local musicians to do likewise. And although I myself don’t have any involvement in the central running of BBC Introducing, I’ve emailed the people who do to tell them about your post here – and have forwarded them your email address. Give em a couple of weeks – they’re still in the throes of running the BBC Introducing stages at Reading and Leeds this weekend, so they won’t be able to get back to you until the dust clears – and you can always email me via the contact page here if you still haven’t heard anything by mid September. My band (The Texas Flood) have uploaded some tracks to the BBC introducing platform a while back but as of yet they have not been listened to. i have emailed the presenters of my local show, which would be on BBC Wales, but have had no luck in gaining any response. is there anything else i could try to remedy this? 1) A friendly tweet to Adam Walton asking if he could take a listen & give you some feedback. If you tweet any DJ an interesting/funny comment about that week’s show first, they’ll be more likely to respond to you about your music. We’re only human: if you sound interested in us, we’re more likely to be interested in you. 3) Writing a postcard or letter (or both) to each of the presenters, c/o the station. And make sure it’s a funny/memorable postcard. 4) Phoning the station switchboard to find the name and email address of the show’s producer. 5) Lying in wait outside the station clutching a CD in your hand for half an hour after the show (if live) comes off air. 6) doing some research and then turning up to a club night or other event where you know one of the presenters will be appearing live. Needless to say all of this applies to national shows as well as local ones. Astonishingly few artists ever bother waiting outside the radio station with a CD for the particular show they’re targeting. 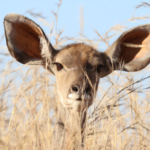 One word of caution: the person you give it to will almost certainly listen, but its a trick you can only pull off once before you get dismissed as a pest or a crank. So only try it when youre 95% certain you have your breakthrough track. Hi Tom, Unfortunately here’s another minor complaint against manchester introducing. After sending my latest ep to people like xfm exposure and lammo, i received national airplay with a few of my tracks. Whilst that is amazing and very pleasing, i havent had any support or airplay from my local introducing show in Manchester. Whilst I realise not everybody will like my music surely national airplay on a couple of the main new music stations means my music is of a good enough quality to be played on a local new music show. I guess after uploading my tracks and even giving a presenter one of my cds at an introducing night, ill just have to take it on the chin. I just hope that other local manchester acts dont think that the local introducing is the only route into getting airplay on the bbc. We get played quite a lot on BBC Newcastle’s Introducing show. We’ve been played a couple of times on BBC Tees’ Introducing and even once on BBC York. We’ve also been included in your Fresh Faves (I think we were in batch 22 a few weeks back). How do we progress up the chain to the likes of 6Music and maybe even Radio 1? I appreciate there are mitigating factors to do with getting played, but what do we do next? as far as I recall we gave Blank Maps airplay on 6 Music pretty early on – maybe even before Bob or Nick started supporting you locally – when we played your song Running In Slow Motion back in May last year. Didn’t we even put it in our podcast at the time? Yes, you’re right, you did play us and put us on the Podcast. We’ve changed a lot since then (I tend to not even count that as being us any more), but you certainly did play us right at the start! Thanks very much for taking the time to mail us! Hi Tom, i have my track “Shredding my CV” on BBC Introducing and since no one has ever listen to it and no reply. Seems you fav my track on the Listening Post..could you please help? Or what do you think i should do next? You played on BBC introducing a song of mine in spring. After that I noticed (and you state it on here as well) that to be played you now need to use the uploader. But to do that you have to be in the UK. My question is: is there no chance anymore to be played on the radio if your not from UK? All the best and thanks for the chance. Hi Tom I uploaded our track Storm recently and I received 2 emails saying the song had been listened to. I just wanted to ask how long it takes from a song being heard and it being played (if it ever does get played) please. Hi Romance (what a lovely name!) it’s one of the peculiarities of the BBC introducing Uploader that it sends an email to the artist every time one of their songs is even listened to. BBC music shows get sent literally 20 times more music every week than they can possibly play on air. Obviously we have to listen to tracks in order to hear whether they’re even suitable for broadcast, let alone whether they’re going to be in the 5% we end up using. So in my opinion it’s really unkind that the BBC system sends those automatic emails as soon as anyone hits the “play” button. For my own show we always write personally to each artist for download permission before we include them on my Mixtape show – so that they know their track will definitely be used in the coming weeks. If you haven’t such an email from us, you might still get played on another Introducing show, but alas not on ours. Sorry! I was wondering, as I’m based in Sydney, Australia and have uploaded a track onto Freshonthenet, how would I get considered for inclusion on the mixtape? BTW, thanks for the opportunity to load onto the listening post, every little bit helps, so a big thanks. And I did take your advice and i’ve uploaded onto amazingtunes.com as well..
Just wanted to say a big thanks for taking the time to listen to our track ‘We Built A Ship’ and include it in your listening post last week. Very glad we did this as now pleased to hear it will be included on the BBC Introducing Mixtape show on 10th December! I’ve also been looking through all your tips and info on the site here. Some really valuable stuff. Hi Tom – just downloaded a new one for you here in Wav form, the uploader needs it as a MP3 and converted the track sounds like it’s being dragged through gravel – has anyone else had this problem? What bit rate are you using for your mp3 conversions, Vince? 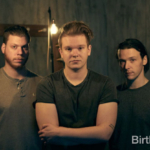 Hi Tom, our band has sent you our new piano demo, ‘Mother Mary’. But we can’t upload it to BBC Introducing as we already have three new songs up there. Apologies. Apparently, we can upload the new demo to BBC Introducing after April 4th. But we think as a musician/songwriter/broadcaster you are the ideal contact anyhow. Hi Tom, when do you put together your mixtape? Thought ‘Skinny Dream’ was already on the BBC uploader but apparently not, it is now though.. is that too late? We were one of the Fresh Fave’s this week. Hey I was just wondering as I uploaded three tracks over the past few days and they have been listened to a good ween of times already is this a good sign? @Lee_Archer1992 Hi Lee Not sure if you’re talking about uploading to the BBC website, where being listened to several times is probably a good sign, or to our Soundcloud dropbox for Fresh On The Net. If it was to our SOundcloud, I listen to everything that comes in (typically 150-160 tracks a week) but the mixtape is only 60 mins long, about 15-16 tracks. So there’s only room to feature about 1 in 10 of the tracks that I’ve listened to on Soundcloud, on the Mixtape. Just added our song ‘Bother Me’ to the dropbox, we’ll upload it to the BBC website as soon as our monthly limit is lifted. Think it’s great you do so much to help out unsigned bands like ourselves Tom, not many are truly willing, and there’s some really useful advice around here so cheers! Mr Robinson – we salute you! I.V. So should I keep trying with this is my question really. It’s not you, its us ! We get sent 130-150 tracks most weeks and many of them are pretty good. But it takes at least half a day to listen to that much music – so for the Listening Post we have to get it down to a manageable 25-30 – the public can’t be expected to listen to more than that. Each week up to a dozen of our moderators listen to EVERYTHING. They then just approve their one or two absolute favourites from the whole pile. That way we get a wide spread of tastes, and every track will have been ADORED by at least one of us. We then ask readers and other musicians to listen and give us their opinion, so we get down to the ten most-loved tracks out of everything that came in. It’s the fairest practical system we can think of. Simple arithmetic means we’re bound to disappoint 100+ bands weekly 🙁 But not getting onto the Listening Post doesn’t mean we think the track you sent us was “bad” or “not good enough” – just that however good it is, none of our moderators actively preferred it to everything else that came in that week. But did you really send us your song Uberunkle without it getting selected? If so, I’m mortifed to have missed it and if you wouldn’t mind sending it again this week, I’ll personally approve it for the Listening Post. Our readers definitely deserve a chance to hear it this weekend. And cheers for taking the trouble to post your comment. It bears out all the key points in my talk at http://www.freshonthenet.co.uk/promo: (1) There’s too much music out there: everyone is swamped. (2) It’s nonethless perfectly possible to get the attention of people in the media with your music. (3) But only once: so hold back until you’re CERTAIN you’ve got something completely exceptional. If you mither Steve Lamacq with something ordinary, he won’t listen a second time. But Uberunkle is definitely exceptional in my opinion and will equally definitely be on my BBC Introducing Mixtape in a few weeks’ time. I would like to add credit to Anne Marie Howard here who sung on this track- both for the vocals, lyrics but also inspiration on the musical side. I do understand about the sheer volume of stuff you must have to listen to. Being from Liverpool and doing live music reviews, it is astonishing how many great bands and artists there are, who all deserve to be listened to all the time- but there probably are not enough hours in the day! Out of Curiosity, do you know Stuart Todd? He’s the chap who pointed me in your direction. I play bass for his new band, Three Minute Hero, we are close friends. Just to say thanks Tom for playing Snake Mary – much appreciated ! First of all thanks for giving to all unsigned artist this platform…It really helps a lot! We’ve tried to Upload a “clean” version of “If You Wanna Feel Good”, but unfortunately the BBC Uploader says that we can’t upload anything till the 10/10/2013 and we’ve deleted the old version. Hopefully we’ll have another chance soon. Just wanted to say well done on the efforts you make here, staying involved with the people! Your blogs/articles are much appreciated. Cheers! I’ve uploaded a couple of my bands tracks (Reporters) the last two weeks or so but have unfortunately not made it to the fresh faves or the mixtape. Would it be worth it to keep on trying next week or not? Ive uploaded 3 tracks to BBC Introducing 1 Month ago and i received confirmation that they were listened to 5 days ago by “BBC Introducing In Manchester” & “BBC London Introducing”. Please could you advise me on any necessary steps to take next, If any. Glad to see the system is working – two listens by two different stations in one month is great news and means that BBC Introducing is delivering on its promise. No other action is needed on your part – your music has been heard along with maybe 100-200 other tracks which will have been sent that week. As far as radio play goes, here’s the arithmetic. Obviously you can’t fit more than 15 four minute songs into a 60 minute music radio programme. But in practice news breaks, trails, station idents, interviews, sessions and spoken introductions between the records mean that on average we can only fit around 12 tracks into an hour of music radio – and it’s often a lot less. Many thanks for your reply & also thanks for the info on the link you posted it was most helpful. I appreciate your help. Please Listen to my music as i feel it is what you will want to hear. All feedback will be much appreciated. @VirtuoSystem We support interesting new music here at Fresh On The Net, regardless of where it comes from. If you submit a track here it will get heard, and if we like it we’ll definitely give it some blog love. This page is only about one specific BBC radio show and podcast, not about our general music policy at Fresh On The Net. Just wanted to say thanks for giving smaller UK artists the chance to have their voices heard, It really is appreciated and is such a rarity to find. I’ve uploaded my new track ‘Joy Joy Joy’ to the soundcloud DropBox and it’s up on BBC introducing, I hope you like it! Hi Tom! I’ve kept a close eye/ear on your show for ages and the work you do is staggering, it’s great to see the commitment you’re putting in for musicians everywhere. My band Seven Tors have taken the plunge and uploaded our song Dancing Feet for your consideration (as well as to the BBC uploader and so on) – we hope you enjoy it! it’s so refreshing to see someone so committed to new music, i think it’s great how you’re so approachable and out to help every band. we’ve just uploaded our track to the Soundcloud drop box not sure if it’s worked so here’s the link http://www.soundcloud.com/the-assist/speak-it-aloud would love to know what you think. any advice would be greatly appreciated! I’ll make this very brief as I am aware this was not the intention of this comment forum. You have been a fan of Haiki and played her on your show a while back, she is getting great feedback from a brief radio promo last year on BBC Radio Devon and ILR on the south coast and also record company interest, this track is well received https://soundcloud.com/mixpe-tm/mixpe-tm-master-23rd-july and will be part of her forthcoming EP. We have uploaded as per your instruction and advice but heard nothing as yet. Keep up the good work, you are a pioneer. Hi Phil – we haven’t received a track by Haiki at our inbox at Fresh On The Net at any point in the last six weeks. When you say you have “uploaded as per your instruction and advice” what was the URL you used for the upload? Thanks for your response, I did upload via the Dropbox link on the Fresh On The Net DropBox page but this was the end of last year (2013). I also uploaded the same track on BBC Introducing and received an upload notification but I have just checked the profile and it hasn’t been listened to so far. Do I upload again on Monday 22nd? (Fresh On The Net) and is there any other advice. We now have some record company interest so really pleased at the moment with progress. Hi Tom! Please listen to my track Statement of the Dangerous in the link below(that I’ve also uploaded to BBC introducing). I’m 18 and from Wales. I am a complete daydreamer and songwriting takes me to another place (usually to a place less damp). My influences are Oasis,Thin Lizzy, Neil Young, The Beatles and Jimi Hendrix. I would say that my music style varies greatly from Britpop, Country, Blues and 50’s-60’s inspired music. I have always been written off as ordinary so I believe now is my chance to do something extra-ordinary and prove everyone wrong. I understand that my recording isn’t the best quality, since I can’t afford to go to a recording studio and my technological skills are not advanced enough to do a home-recording. But if you give me a chance, I can show you that I’m capable of doing great things with music. Thank you for reading! @DustySilvers Submitting a tune here between Monday afternoon and Thursday afternoon will make certain it gets heard by me personally. We receive 100-200 tunes a week and unfortunately it isn’t possible to give feedback on individual tracks. But I will listen to your tune – and if I really like it, I’ll play it. Simple as that. Here is Thought Birds by Patrick Duff. Patrick will release this himself on 19th April 2014 as a 7″ coloured white vinyl with his talented friend from Aberdeen, Craig John Davidson on Side B.
I hope you like this song as much as we do. If you want me to consider one of Patrick’s tunes for my BBC Introducing Mixtape, send it to our inbox here at Fresh On The Net any Monday to Thursday afternoon, where the whole team (including me) will listen to it. This is the 100% guaranteed way of getting a piece of music heard by me, and I see you’ve done this already. Patrick Duff hasn’t uploaded any music at all to BBC Introducing in the last 9 months. Thought Birds By Patrick Duff, recorded outdoors, with no overdubs in the deepest throws of Dartmoor is on the BBC INTRODUCING UPLOADER & Fresh On The Net. Here is also a private sound cloud link. Thanks for all you do Tom. Hi Tom and the Crew! I just uploaded our new single ‘Ghosts’ but I may have typed the track title and band name in the wrong way around, do I need to upload it again? Hello, I was wondering if you could take a listen to my track ‘Addiction’ I tried to submit it to you a couple of weeks ago but not sure if you received it. We didn’t receive it Elena. Have another go at submitting it via the link on our front page. The dropbox is open Monday afternoon to Thursday afternoon. It shouldn’t be too hard – 100-200 other artists seem to manage it every week. If you have still have difficulties, perhaps ask a technically competent friend to give you a hand? Hi Tom! Just wondering when do artists know whether they’ve got a slot on the listeners post? Wanted to introduce you to machineheart who are based out of LA. 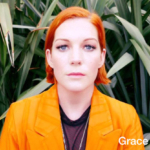 While we’re unable to load tunes to the music uploader due to Int’l postal code, we’ve uploaded two songs, “Circles” & “Another Me” to the Soundcloud uploader and think it will fit well with the BBC Radio brand. Let us know your thoughts and appreciate the listens. Can I just say, it can be quite daunting as a solo artist putting your music up for all to hear and judge all over the internet! FOTN, gives you guidance, which is extremely informative and if you take the time to read everything on here, with its helpful links everywhere, it can give you the confidence and direction to help you along with what you’re trying to achieve – depends how driven you are! Can a song that you’ve uploaded still be considered for The BBC Introducing Mixtape even if it doesn’t make the listening post? Reading one of your replies above regarding “Thick Skin” and “If at first you don’t succeed” made me want to ask this question. I uploaded three tracks a few months ago to BBC introducing, they were listened to and that was that. I knock doors and things like this are great. I found out about this site through your Musicians Union magazine interview and i instantly uploaded a track here. May I ask if that is a positive sign or just a formality? My thoughts? Well for what it’s worth I did think Where I’d Rather Be was one of the “pretty good” tracks that week, but it wasn’t one of the gobsmacking, standout “OMFG WTF is this??? ?” tunes that elbowed their way to the top of the pile. My notes about it dated September 5th said: ‘likeable, well executed, but a bit patchy and just a tad ordinary’. That’s only one man’s opinion – I could be wrong and very often am. 95% of the records in the Top 40 leave me cold, so I’m no judge of what the public are likely to buy – and I sincerely wish 5thPier every success. I’m wondering – I cannot upload a song to BBC Introducing ….as I’m in Ireland. We are gutted as we would be exceptionally happy to be considered for BBC airplay. Just wondering if my funk rap was successfully uploaded to your team please? @Carol Have you sent music to me here via Fresh On The Net that I’ve already heard – if so, which band/artistname was it? As a matter of fact we’ve played quite a lot of music by artists from the Republic of Ireland, all of which was there on the BBC Introducing Uploader. Hmmm. I do hope they didn’t cheat by registering a false UK address or anything. Hi, I hope you’re well and apologies if my request is of any inconvenience to you. I recently uploaded (or at least think I did) a track onto the soundcloud link however I encountered an error and then refreshed and it seemed to have uploaded but i’m not entirely sure! I don’t want to re-upload as you’ve stated multiple uploads are frowned upon is there a way to confirm whether this was received? I tried to email the moderators but I have not heard back from any. The track is called Hey Hey by Tau Benah. Again apologies for any inconvenience this may cause. Your responses throughout this page have encouraged me to send you this hopefully short message. I have been uploading my music on BBC introducing for a while now and it has been listened to, some of the tracks a few times. I am trying to be patient (2 years) because I know of the amount that have to be handled and I know of the impossible amount of talent out there. However, the automated BBC introducing messages are no longer enough to keep me from wondering what is happening if anything at all. Any idea how I should go about progressing this? So excited to find this comment thread to send you a message directly – I’ve followed your show for over a year now. I have just begun promoting a new unsigned act called Ablu and have uploaded promo copies of Ablu’s debut singles to BBC Introducing and to your dropbox as linked to above. Ablu is an incredibly talented act that I’m really excited to be putting out there so I would be overwhelmed and delighted if you get a chance to consider his tracks for the mixtape. You can also listen on sound cloud. I’m anxious to get the campaign for his debut singles off to a thumping start so please could you confirm that the track reached you? Thanks so much. Keep up the good work – you’re such an asset to the UK alternative music scene. These are the tracks received in our inbox this week so far, with another 20-30 on the way. Our promise to artists is that our entire team will listen to every one of them*. This isn’t in fact an exciting comment thread for managers and PR companies to try and get special consideration for their particular track, so please don’t waste your time and ours. If we like what comes out of the speakers we’ll feature it. If we don’t, we won’t – end of story. *We do listen to every single track submitted while the dropbox is open EXCEPT for those who ignore our guidelines and send more than one track (see FRONTWARDS and POPOBAWA above). Those artists’ tracks always get deleted out of sheer self defence: if everyone decided to send us two songs, our listening pile of 140 tracks would grow to 280 and the job would become impossible. Many thanks for the reply. Sorry for the misuse of the comment thread here, I’m completely new to the role of promoting and to the industry so just wanted to check I hadn’t messed up the submission process. Great to know that the process is blind and honest though. What a great website! Full of useful advise and information for unsigned bands like us (FELLA). I have submitted our new track ‘Sideways’ and look forward to hearing some constructive feedback. We recently had our first play on Radio 1 courtesy of Huw Stephens and I was wondering if you have any advice on how we can build on this? I would like to submit some music please. I have sent you message on soundcloud and uploaded the track on soundcloud too. Please message me back on my email address if you have time and let me know if you received it. I’ve been out of the business a while and have come back into it through my daughter’s (Sophie Janes) music passion – and it’s great to be back and it’s quite an honour that my daughter has been up for working with her old man! I’m learning loads and freshonthenet is a quite brilliant impulse – so thank you. A quick question – we mastered the first single at Abbey Rd in December and uploaded to BBC introducing soon after. The single comes out end March. We’ve just released the video which has now been picked up by Emirates for their in-flight music show for a couple of months which is great, and we’re getting ok noises from MTV too. On the back of rough mixes of this single and two other tracks, Sophie has also been offered her own artist showcase for SXSW which we’re taking up in 2016. But I have to assume that back in late December/Jan BBC introducing ‘passed’ on the track since I’ve never heard anything. With such encouraging things happening around it I’d love to get someone at the Beeb to reassess the track – is there a precedent for that, or could that happen via here? (I have just added it to your group here). Thanks again Tom – the work you’re doing here for indie artists is awesome. I’ve just joined AIM and they’re another fantastic resource for us indie bods. Hello, do you have to click the “upload to group” tab or can you use the “select a track from your profile” option, which also seems to be a possibility? Hi Barry – the biggest problem most artists seem to face in promoting their music is grasping just *how many* other artists they’re competing with. So you’re thinking about the fact that you spent money mastering a record at Abbey Road and are puzzling over how somebody at BBC Introducing could have “passed” on it. But the issue is one of simple arithmetic: we get sent 150-200 tracks every single week. Many of them are pretty good, but the BBC only gives me one hour of airtime in which I can play them. That’s 16 or 17 tracks maximum – so every week anything up to 180 artists (many of them pretty good) are bound to be disappointed. Hi Tom – greatly appreciate the response and I do understand the numbers! AND THANK YOU for doing the work you do to champion indie artists. It’s incredible. I wasn’t complaining at all, just wondering whether a track that has been through the BBC introducing doorway once, can be revisited. You have helped me see how that’s possible. Firstly let me thank you for the great opportunity you give to unsigned artists, what you do means a lot to us. I think I just updated one of our (Darkbeat) tracks on Soundcloud Freshnet dropbox but I’m not 100% sure it went through. I think this idea for cutting down on landfill is a great idea but I’m experiencing problems with the uploader. The track seemed to upload but then started the upload cycle again. At the end of the second cycle it said that there was an error. I guess this could be because the first one actually did go through but I can’t find a way of checking that it has. A message did come up at one point to say that the band name was not required in the title but, as that’s requested, I can’t see why that would cause problems. Hi there, my producer name is Beyond the clones, I’ve submitted to your soundcloud but I accidently submitted the wrong tune as i had the same cover photo and the correct tune was on a private setting so it didn’t come up on my upload selection, I know it says not to upload two tunes but is possible this time to discard it, you will know which one it is it has not got my production name in capitals with the dash before the name of the tune. keep up the good work and I hope you can look past my stupidity. Keep up the good work. We are the sonic assassins on a mission to wipe out audio pollution in all its forms -plastic pop, corporate rock, you name it. We have uploaded our forthcoming debut single ‘New Radio’ to your Dropbox. Hope you’ve got it/ dig it! We are the power in the darkness, frightening lies from the other side! Thanks for this opportunity, we’ll look at uploading. We have already have 5 tracks broadcast on BBC Introducing in recent months and are looking at further ways to get the word out! I am struggling to get any airplay and my music would suit BBC Radio 6 Music. “To send me a tune for my BBC Introducing Mixtape, upload it to our Dropbox group on Soundcloud any Monday to Thursday afternoon. You don’t need a plugger, a promo CD or any of the other old music biz malarky – this is the 100% guaranteed way of getting your music heard by me. It will also get considered by the rest of Team Freshnet for our Listening Post. The track I want to send to you is part of an unreleased EP and is only published privately on soundcloud at the moment (the record doesn’t come out until 8th April) – is there a way to get the track over to you via an email link or wetransfer? I have uploaded lots of tracks to BBC intro. They have all been listened to, some of them up to 3 times, but still no airplay. It’s a dog eat dog world out there. You still need that “right place, right time” slice of luck. 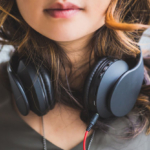 I received two emails in the second week of May which informed me that my tracks had been listened to and that I should expect to receive further emails if they are selected for airplay. I am writing to inquire if there is a cut-off point by which I can assume that the tracks are NOT going to be played on air? I listened to your Sanctus track when you sent it to us at Fresh On The Net back in April. Personally I don’t send people notifications beacause if you send us a track anytime our dropbox is open our whole team including me will listen to it. If I like the track very much then I’ll play it on the radio within the next 3-4 weeks, but the competition’s pretty fierce – see http://freshonthenet.co.uk/listeningtoinbox. I’ve just checked and Lucy Eliot-Higgitt from Radio 3 also listened to Sanctus – on the BBC Introducing Uploader – in early May. Every time anyone at BBC radio listens to any track on the Uploader, it generates an automatic email to let the artist know their track has been heard. But again, most music programmes get sent 9 or 10 times more music each week than they can possibly play, so you would definitely have heard by now if your track was going to get played on air. Thank you very much for your reply. Okay, this is helpful to know. Hi Tom. I did submit 3 tracks that said they had been listened to but moved areas in between all 3 submissions. Am I a forgotten artist, now or is there an area coverage confusion. They are getting some good feedback in the US so also wondered is it more of a Genre preference thing at play here. Sound cloud keep telling me they can’t access the URL on your submit page? Any tips if this is a problem at my end rather than yours? I have a track I’d love you to hear. I submitted through bbc introducing over a month ago but it’s not yet been listened to and i’m working hard to get it to peoples’ ears in all ways I can think of! Thanks, and keep up the good work. Thanks for the reply. My remark about “right place right time” wasn’t a snipe at BBC intro and Fresh on the net, both of which provide a great opportunity for new artists. It was a general comment on the music business. I probably could have made that a bit clearer in my post. I just want to thank you for selecting our latest track for this week’s MIXTAPE. It’s a hard slog making original music – so to be recognised on this forum, alongside some incredibly talented people is fantastic. Please pass on my thanks to the moderators who are so friendly and supportive. So so pleased that this Mixtape exists. It’s one of the few remaining proper channels for independent musicians from one of the last few genuine radio DJ’s. We have had huge support from the Three Counties Introducing Team so no complaints there at all, but this mixtape just feels quite special. Would be great to hear some of our own music on Fresh On The Net one day, but either way we’ll be tuning in. I’m pretty impressed that Tom makes answering all the comments people post here part of his mission. @SelBalamir why thank you 🙂 @Mark As of last week in Sept 2017 I’m on holiday and then away on tour next month, but will be back listening again from November 2017. In normal circumstances though you need to share with this blog on Soundcloud if you definitely want me to hear it, and you also need to upload it to BBC Introducing for airplay. I’ve recently done a BBC Introducing session in Stoke broadcast 28th Oct, I’ve written a lot of songs and recorded 4 but wanted to send you my music for your to consider for mixtape, is soundcloud the only way? I don’t have a soundcloud account for some reason I thought it had gone bankrupt and was folding? Have just submitted some music for your via soundcloud and on BBC introducing so hopefully I’ll hear back from you soon if you’re still active on this page! ELECTRO IN BLACK ~EIB~ – Love Has Never Called ….. Ever. PHILEASFOGGUK – Will Never Be Played Again. My names Scott, I’m in a band called Camens. We have submitted 4 tracks to you over the last couple of years. Our first submission ‘Boys Will Stray’ made your list of 25 but didn’t make it to air sadly. Our last submission ‘Danny Devito’ has recently been played by Steve Lamacq on his BBC Radio 6 Music show. So we are wondering whether it made it to air on your show too ? I’m trying to find show playlists from the last couple of months but am having no joy? Is there any way you could shed any light on this for us please ? either way, take another listen bud 😉 and look out for our next submission , ‘Slept on the Sofa’ we should have it to you in September! Yep a dozen of us heard Danny DeVito when you sent it to us in June 2018. It was one of 160+ tracks that came in that week – you can hear them all at https://soundcloud.com/freshnet/sets/inbox287. Unfortunately we can only fit 25 songs into our Listening Post and I only get enough airtime on my BBC Introducing Mixtape to play about 16 or 17 tunes maximum. So 140 artists (many of them very good) are bound to end up disappointed each week because we simply don’t have room to feature everybody. All of us listen to everything that comes in, so as I say we did already hear Danny DeVito. As it happens, it didn’t elbow its way into the top five of any of our moderators including me. But then our musical tastes are very different from Steve Lamacq’s – and he’s got a much better track record of picking artists who are going to become successful. So it’s much more important that your music appeals to Steve than to the likes of me and Team Freshnet. I hope you don’t mind me messaging. I have just released my first EP just a few days ago and am looking for the opportunity to be heard by radio specialists like yourself. However, my question is does this blog and music area still run? I only ask because I have looked at the past comments and the last one was back in 2016..
p.s if you happen to get the chance, check out my EP on http://www.facebook.com/jacobbrownemusic or all streaming services! Thanks ever so much. We (The Mighty Ur) have just released an album which has just been selected for The Wire Magazine’s ambient picks – LINK: https://www.thewire.co.uk/audio/tracks/office-ambience-416. Unfortunately we don’t have a soundcloud account. Our music is on bandcamp and spotify. Can we send a bandcamp link to you? Is there any way I can share a private track? I have a song coming out on the 23rd November so it is currently private on SoundCloud but I’d love to get it heard as early as possible in preparation for release, as I read that radio stations like to receive music around four weeks before it comes out!! Will I have to wait til release day or is there a way to share a private link with you?